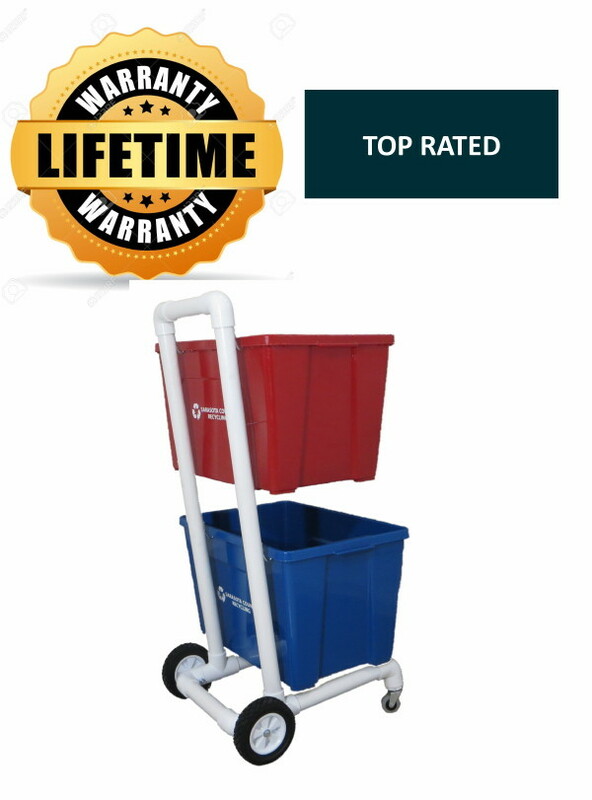 So durable we offer a LIFETIME WARRANTY! 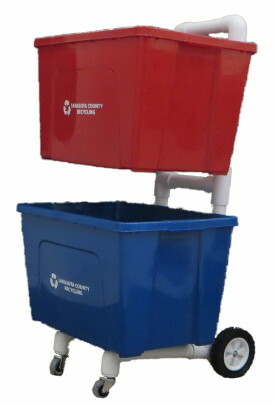 Heavy duty premium recycling cart, holds most County recycling bins. This design contains heavy duty ALUMINUM hooks that won't rust or bend! 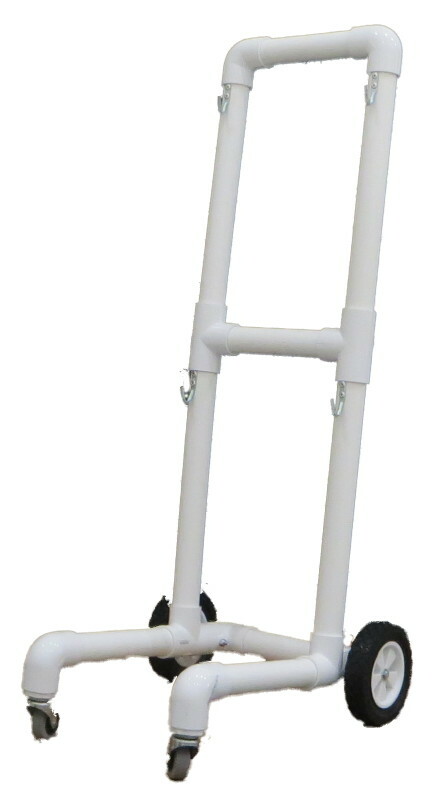 Space saving design, that has wide wheels for smooth and easy rolling. 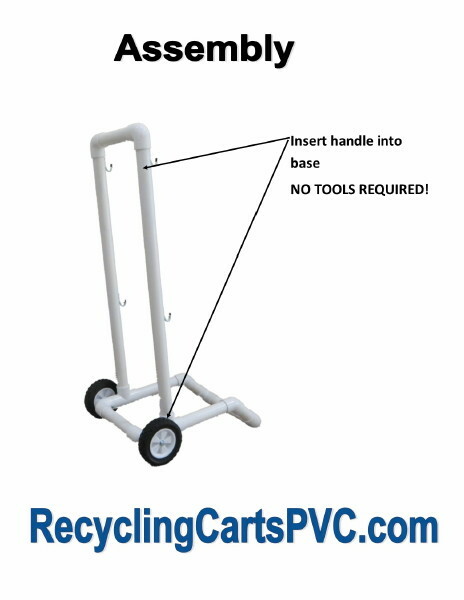 Made of super strong 1-1/2" pvc pipe that will not rust. The wheels are mounted with all stainless steel hardware. We added 2 additional caster wheels to the front for easy maneuvering. Very simple to assemble (assembly time is approximately 1 minute and no tools are requred!) 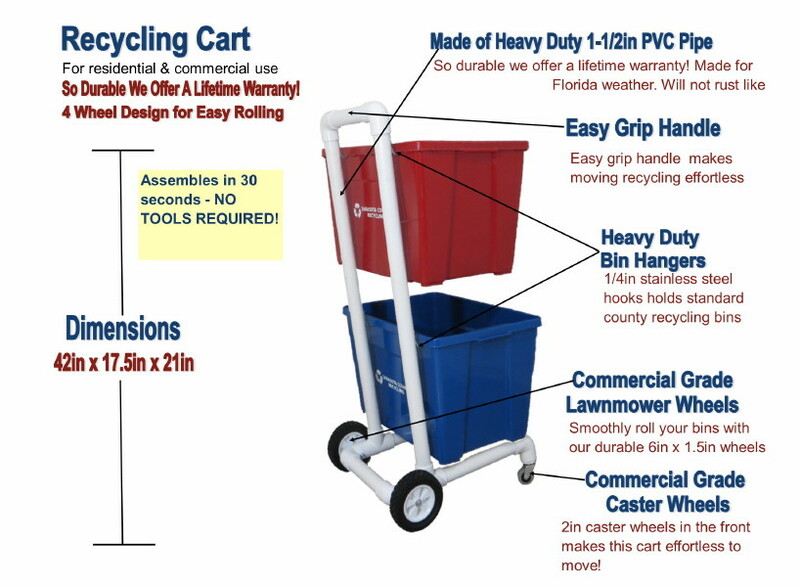 We have been in business for over 15 years, providing high quality recycling carts to residential and commercial customers. So Durable We Offer a LIFTIME WARRANTY! Buy 1 recycling cart and have it for a LIFETIME! Accommodates bins up to 15" high. Bins not included with cart.